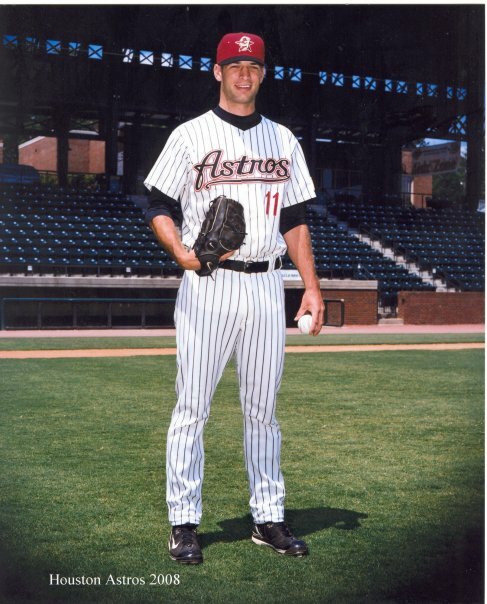 Pat Urckfitz has known his share of roles as a pitcher in the Houston Astros’ organization. When first signed as a free agent, the native of Penfield, New York worked as a set-up man. Eventually, the former Webster Yankee closed games in the Class A South Atlantic League. He earned a promotion to the Class A Advanced California League and with that came the adjustment to the roles as a middle reliever and spot starter. Add starting rotation to the list of roles. Urckfitz made his first start as part of Lancaster Jet Hawks rotation, and like his other roles, the former Webster Yankee delivered. He tossed five and a third of shutout ball as the Jet Hawks downed the San Jose Giants 4-0 in California League play Saturday. The left-hander struck out seven and walked two while surrendering just three hits in improving his record to 4-2 for the year. The southpaw has struck out 17 in his last 27 innings of work and has allowed just two runs in that span. In 52 frames of work, Urckfitz has struck out 55 and walked 15 to go with an ERA of 3.05. Opposing batters are hitting .265 against him. For a pitcher accustomed to putting the ball behind batters, making the change to middle relief contributed to the difficulties. Urckfitz figures the experience can only make him better. Urckfitz is not the only former NYCBLer in the Astros organization. Two of his teammates, Ashton Mowdy (Geneva ’07) and Shane Wolf (Elmira ’07) also played in the New York Collegiate Baseball League. Urckfitz fanned 25 in 14.2 innings of work with the 2008 Yankees. Opposing batters hit a paltry .207 against the lefty. He signed as a free agent in July of 2008 and made 15 appearances for the Greeneville Astros of the Rookie Appalachian League fanning 23 in 19 innings of work while notching an ERA of 1.40. The southpaw finished 1-0 with three saves for the campaign. One year later, Urckfitz led the Lexington Legends of the Class A South Atlantic League in appearances (42) and saves (13). In 49 innings of work, he compiled a 4-1 record with a 2.57 ERA while striking out 42 and walking 13. Urckfitz earned Legends’ Pitcher-of-the-Month honors for May going 1-0 with four saves with 0.71 ERA for the month. Urckfitz led Monroe Community College to a third place finish in 2008 NJCAA tournament tossing 11.3 innings of relief surrendering just one run while striking out 15.